Specialist cheesemonger The Courtyard Dairy on the A65 near Settle has beaten off stiff competition from all over the UK to be named ‘Cheesemonger of the Year’ at this year’s ‘Farm Shop & Deli Awards’ held at the NEC in Birmingham on 18th April, as well as picking up the award for ‘Best Food Retailer in the North West’ at the same time. 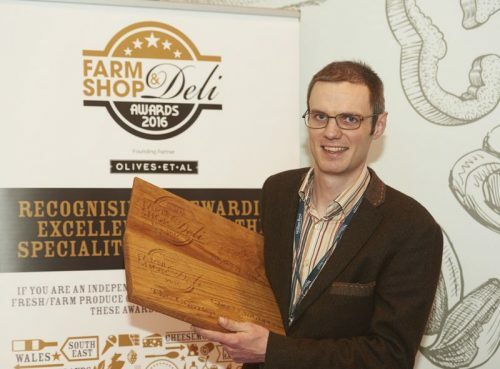 The Courtyard Dairy was started in 2012 by Andy Swinscoe and his wife Kathy, after working for some of the top cheesemongers and affineurs in England’s south-west, London and France. Their ethos is to offer only the best cheeses that can be found, limiting the range to just 30 so that every one is absolutely at its prime. 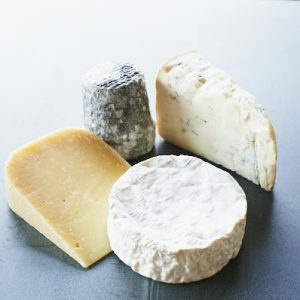 Championing cheeses being made traditionally and by hand on small farms, mainly from unpasteurised milk, The Courtyard Dairy’s range of superb cheeses is truly special. 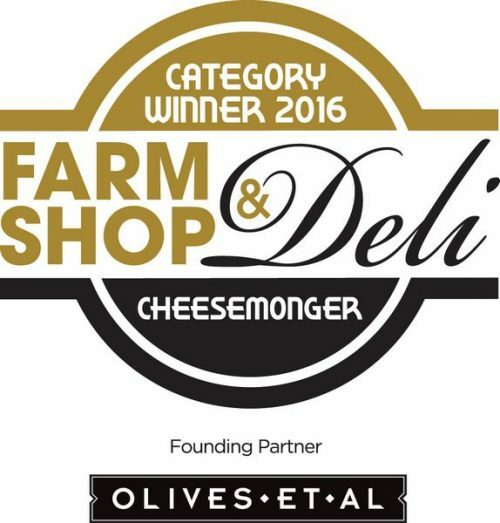 The small-scale, quality-first ethos has seen them win many awards since opening, including Best Cheesemonger at The World Cheese Awards, and being finalists in the BBC’s prestigious Food and Farming Awards, but this is the first time they have won ‘Cheesemonger of the Year’ at the Farm Shop & Deli Awards. Versions of this Article also featured in The Yorkshire Post, Westmorland Gazette and Craven Herald. Find out more fascinating facts about cheese – simply sign up to The Courtyard Dairy monthly newsletter for regular exciting offers and interesting info. from the cheese-world. Sign up here. How to develop a new cheese – “Hebden Goat” … read all about it. Brie vs. Camembert – what is the difference between Brie and Camembert? 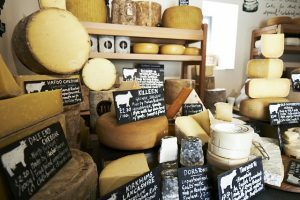 Part One – choosing the right place for a cheese shop. Part one of the four-part series on how The Courtyard Dairy was created. Click below to read more…. Read part one of my journey into the world of cheese ageing at Mons Fromager & Affineur. From arriving for my apprenticeship, pidgin French and making a fool of myself….